If the injury of a Roma child is just a "mystery"
Now she is in critical conditions at the Bambino Gesù hospital in Rome. It would not be the first case, we have registered several in recent months. A second thing we know is that the baby could be paralyzed and that the damage produced by the wound is still serious. The third thing we know, even if we do not have absolute certainty about what happened, is that if in Rome an Italian family entered the hospital saying “my daughter was injured by a rubber bullet probably fired by a running car”, she would a pandemonium. Today, however, the comments on the episode speak of “clarity”, while the headlines speak of a “mystery” or report the news in a neutral way “Roma baby hurt”. The thing is unique precisely because in recent months it has sometimes happened that immigrants were injured in this way. The last is only last week. Try to imagine the opposite (the hypothesis denounced by the parents of an Italian girl wounded by a bullet from a car driven by immigrants) and to what would be the headlines and the comments of the institutions. They would probably not have this British tone. If the discriminating pattern of aggression is confirmed, it will be one of the most serious and dramatic facts of racism that we have witnessed in recent years. And if it were not so? If it were an episode of small crime? Even in that case it would be a case of unprecedented gravity that reminds us, among other things, how to legitimize the use of weapons and incentivize their possession at home to defend themselves better is wrong. In fact, if it were easy and ordinary to shoot someone for any citizen, those who would have more chances to obtain weapons and would find it even more normal to use violence and shoot. Even against a 15 month old girl. In any case, therefore, this story signals a huge problem. So we publish below extracts of a statement released by some Roma associations that rightly denounce the seriousness of what happened, expressing our closeness to Cirasela and her family, hoping that her health conditions will improve soon. 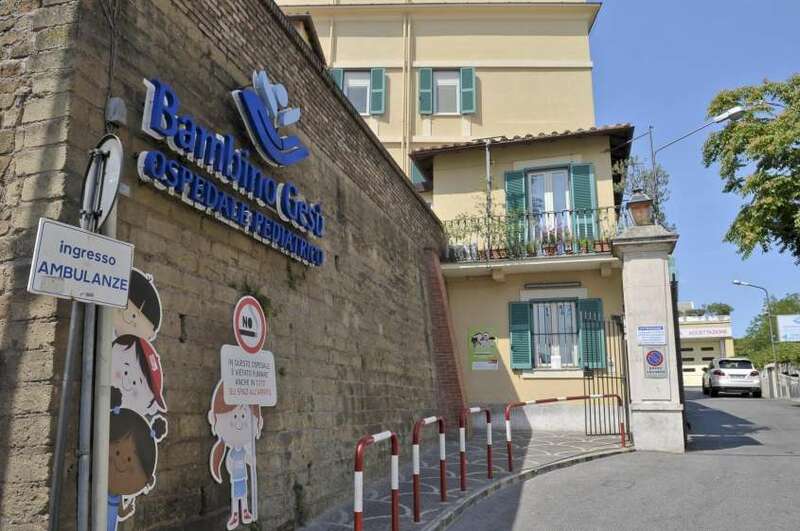 “On Tuesday 17, in Rome, around 6 pm, a group of Roma was returning from the playground in Via Palmiro Togliatti when a blow with a compressed air pistol exploded against them. The blow wounded Cirasela, a 15-month-old child, who was in her mother’s arms and is now at the hospital: the bullet has injured the little spine of the baby that is now in danger of being paralyzed. Why should life be destroyed for an innocent being? Why should a family, poor and defenseless, plunge into the desperation struck in its most precious and unique good, the children? Why can someone so cowardly be able to shoot defenseless people walking down the street to hurt them? We know that ten years of campaigns of discrimination and hatred against those who have no other fault than to be different have cultivated rancor and anger in those who need to find a culprit in their discomfort, the insecurity of the present, the uncertainty of the future. We know that this black wave overwhelms the very sense of humanity that should distinguish us and that only by recovering this sense of humanity there will be no more mothers and children abandoned to die at sea, immigrants and “Gypsies” targeted by cowards in a by now long list of small and large violence that make whole communities live in fear. A 59-year-old man is the author of the injury and is being investigated for very serious injuries. “I was just trying out my new air rifle” is the explanation that provides the incident and the investigators for now believe him: the former employee of the retired Senate is in fact investigated for serious injuries without aggravating the potential racist motivation.